and I am so excited to share my first post with them next week. 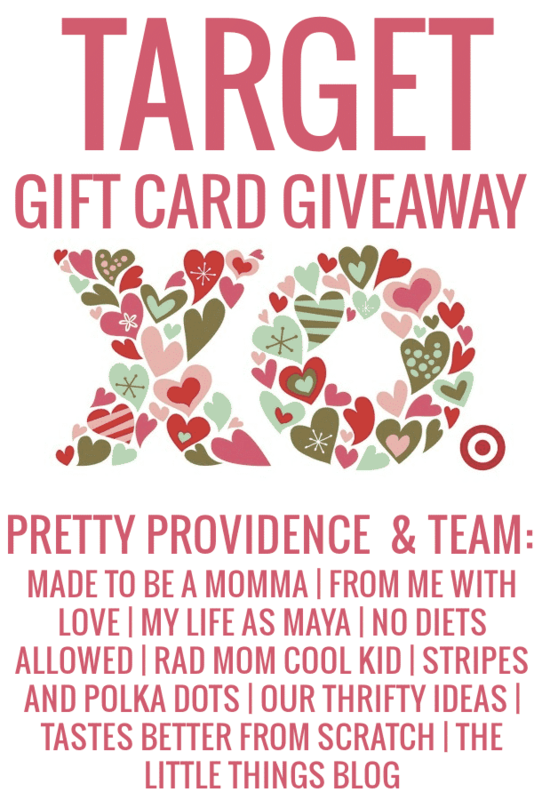 Pretty Providence and their contributors are hosting this giveaway for one of our lucky readers! What would I do with $100 to Target? I think the question is what wouldn’t I do? I have been wanting to update my living room for forever now but haven’t been able to. We are on student status…anyway, the really big thing I need is a rug but I am not sure when I will be able to buy a super nice rug. I know that I could keep my rug and just use some key accent pieces to bring it new life. You can kind of see it in this Hulk Party post and this Day Bag post. Here are some of my favorite finds all for a total of around $125. That’s not too bad for updating a room. See what a difference a few things can make? Here is a little bit about each blog behind the giveaway; if you’re not already following these amazing women make sure you check them out! Watermelon Love: Printable Watermelon Wrapping Paper and A Giveaway! YourFreeTree.com 12 Days of Christmas Giveaway!